Well the first thing you should know about electric heaters is that cost of heating will generally be substantially higher and have greater carbon emissions than alternative fuels (unless you're using green electricity). However, the installation and maintenance costs of electric heaters are generally lower than alternative forms of heating. Green electricity simply means electricity generated from renewable energy sources such as solar photovoltaic (PV) systems and wind turbines. To reduce the energy requirements of any heating system your home should have good home insulation, good glazing and good draught proofing. stores heat in bricks usually overnight,this stored heat is then slowly released the following day. This type of heater basically consists of electrical elements embedded in insulating material in the shape of a brick. This brick in then charged with heat which it slowly releases. By radiation from the front panel. Note that this heat cannot be turned down and so the heater will give out some radiant heat at night when it is charging up. thereby heating the air to create convection currents. In the simplest storage heater the rate of heat cannot be controlled, but more advanced models have a thermostatically controlled mechanical damper and a fan which is connected to a separate electrical circuit that can be turned on at any time. 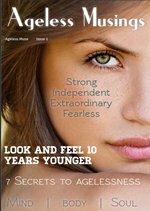 (instantaneous) are simpler than the storage heaters and cheaper to purchase and install. These instantaneous electric heaters do not store heat for later release; they provide heat on demand - when you need it. 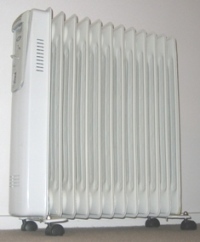 This type of heater is more expensive to run as you cannot take full advantage of the off-peak rates. Theses heaters are connected in your home via a 13 amps socket and most direct acting heaters have a maximum output rating of 3kW. Convectors are designed to give out their heat as warm air through natural convection currents. Fan heaters circulate the heat by fan assistance. They generally have variable speed control. A typical example of a fan heater is your hair dryer. Panel heaters are usually slimmer than convector heaters and although a large portion of heat is given out by convection, some heat is given out by radiation from the hot front surface. Radiant heaters are better for short term heating or for heating small spaces such as bathrooms as they are expensive to run. You can also get combined radiant heating and lighting units for bathroom areas. Most electric heaters are portable or designed for wall mounting. Electric radiators are usually oil filled and portable, and are designed to heat rooms. Many of these oil filled electric heaters are thermostatically controlled and are less expensive to run than fan heaters, for example. Warm air units store heat in a similar manner as the storage heater. This however, is a single unit that is installed in a central area of your home (this system is best for small compact properties). Heat is discharged through grills at the side of the unit and not via ducts to the rooms. The air supply is balanced to the rooms by making adjustments to the outlet grills. This central unit will require sufficient storage capacity to be able to meet the heating loads of all the rooms. Electric boilers are generally designed for hot water distribution and hydronic central heating (radiators or underfloor heating) systems. 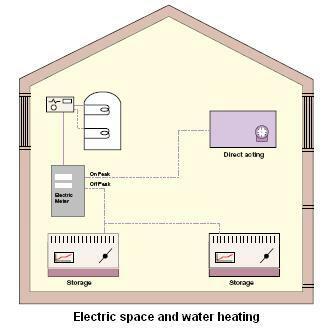 An electric boiler without hot water storage (either within the boiler or separate water store) is expensive to run. Hot water storage is really essential with electric boilers to reduce running costs and high power demands. Floor heaters have electrical elements that can be embedded into the floor similar to hydronic underfloor heating coils that release heat into the floor screed which then releases the heat into the room. They are also fashionable as 'undertile' heating in kitchens and bathrooms. This system can be configured to operate at night time off-peak rates, storing heat that is slowly released through the day, or on demand. However, as with all underfloor heating the temperature response time, i.e, the space heating and cooling down is slow compared to the direct acting heaters that instantly give out heat when switched on. Ceiling heaters are really unsuitable as the principle heating system for your home, as hot air rises (although radiant heat lamps used in bathrooms areas are different as they are designed with backing reflectors to redirect their heat downwards). Consider it only as supplementary heating. water heaters generally use an electric emission heater connected to a hot water storage cylinder to heat the water. These cylinders can be either vented (open to the atmosphere - low pressure) or unvented (not open to atmosphere - mains pressure). Electric water heaters can take full advantage of the off-peak night time rate making them economical to run especially when providing heat to a well insulated storage cylinder. See also water heaters for more options.